Get cash for your car in North Carolina today! Sell your vehicle today and get immediate payment when we pick up your car. We buy cars in every city in North Carolina, sell your car in NC now. Quick Cash – Only takes 3 easy steps to get cash for cars in North Carolina. Top Price – Due to our nationwide network of buyers/auctions, National Cash 4 Cars is able to offer you the highest price for your car in North Carolina. Free Pick-up – Our drivers are able to come to all cities in North Carolina to pick up your vehicle, and give you your money on the spot. Convenient – We serve every single city and market in North Carolina. Cash for Cars in North Carolina today! Stress Free – National Cash 4 Cars buys any make or model, running or not. We buy used vehicles in all types of conditions. Get top dollar in North Carolina today! Automotive Expertise – Over 50 years of automotive experience, we are standing by to purchase your car in North Carolina today! 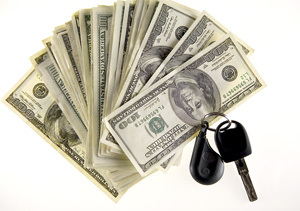 Selling a vehicle to a cash for cars North Carolina company is very straightforward. Cash for cars companies specialize in buying a vehicle no matter what condition it is in. Anyone who has a vehicle for sale can expect that the company will make an offer for the vehicle in question. Following is an overview of how to sell a vehicle to a cash for cars company. Most companies of this nature have a website. A person with a vehicle for sale will need to get on the company website and fill in detailed information regarding the vehicle. Some information that will need to be provided includes the type, make and model of vehicle, along with information regarding the condition of the engine, transmission, clutch, mileage and body. One will also need to provide personal information such as full name and phone number. Once this form has been sent in online, one can expect an answer and price offer the very same day. Alternatively, one could phone the company directly and get a price quote over the phone. No matter how a person goes about contacting the company, it is important to make sure the information provided is accurate. An inaccurate description of the vehicle will result in an inaccurate price quote that may have to be modified when the company comes to collect the vehicle. One of the advantages of selling an old vehicle to a cash for cars company is that the company will tow the vehicle free of charge and even help the seller to fill out the paperwork related to the sale. If the vehicle owner agrees to the offer made by the company, then the vehicle will be picked up the very same day. The payment is made by check, which is delivered to the person when the vehicle is picked up. There are no hidden fees or additional expenses, which makes selling a vehicle to a cash for cars company one of the easiest ways to get rid of an unwanted car, van or truck. Those who are looking for a good cash for cars North Carolina company will find that National Cash 4 Cars is one of the best companies that one can work with. The company will accept vehicles for sale that do not have a title and will buy a car no matter what condition it is in. The company picks up all the vehicles it buys free of charge and even helps the seller fill out the paperwork related to the sale. Furthermore, National Cash 4 Cars is known to offer more for a vehicle than other local companies in the area. Anyone who is in a hurry to sell a vehicle will want to contact a cash for cars company. Such a company can be found online quite easily and all one has to do is fill out an online form or contact the company by phone. Once a price offer is made and accepted, the vehicle will be towed in short order and one will get immediate cash in hand. Selling a vehicle has never been simpler.